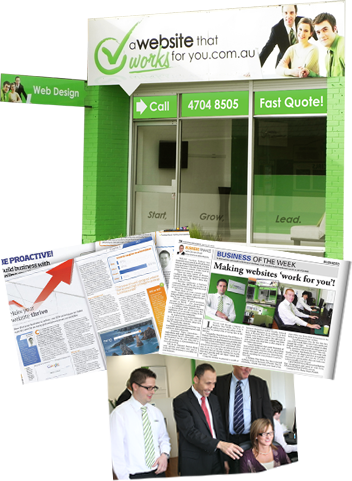 A Website That Work For You are a local team of web designers who help small businesses get online fast and cost effectively. Our website solutions are sales driven... meaning you're not just going to end up with a pretty picture that does nothing for your business. We put together the Free Website Advice Pack because to help business owners like yourself become more informed and armed with knowledge before jumping into things. There are thousands of web design companies out there with prices ranging from $99 to $90,000 to develop business websites, so it's important to understand the difference and know what you should actually be looking for in a website. We've built websites for hundreds of local businesses from single owner operators right up to national organisations so we understand that while every website need and goal is different, there are common trends, things that do and don't work across the board... Let us help point you in the right direction. All the best with your website!